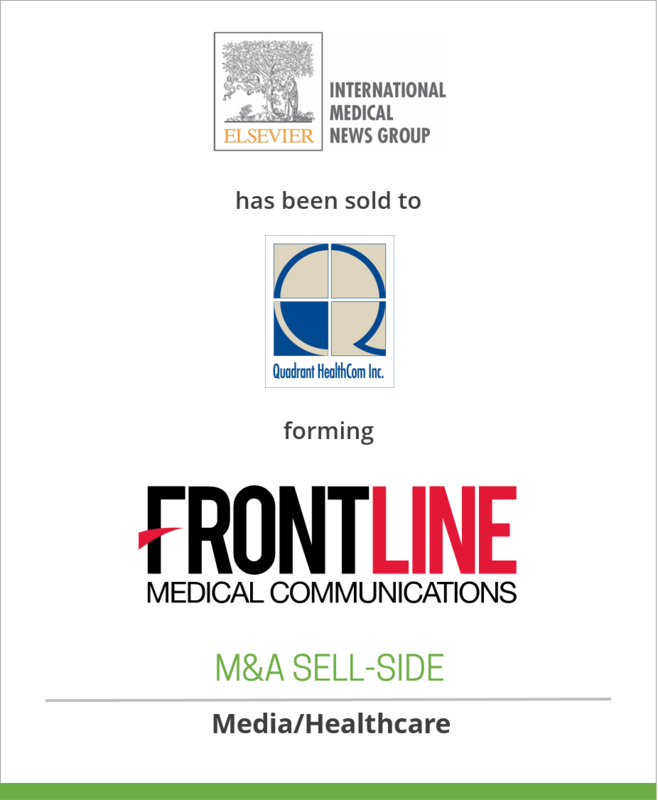 D+P client Elsevier, Inc. has sold International Medical News Group (IMNG), the leading provider of medical news to physicians, to Quadrant HealthCom Inc. (QHI). QHI + IMNG form one of the industry’s largest and most diversified medical communication companies, ranking number one in ad volume and serving over 700,000 physician and healthcare professionals through a wide array of digital, print and live event products. The significance of the merger lead QHI to create a new name for the combined companies — Frontline Medical Communications — under which QHI and IMNG will continue to operate their established publications and associated businesses as well as new ventures focusing on digital products and live events. Alan Imhoff, president & CEO of IMNG, will continue in that role, and will join Marcy Holeton, president & CEO of QHI, JoAnn Wahl, president, Custom Solutions, and Doug Grose, CFO, in the Office of the President (OTP) – the group that oversees company strategy and operations. Stephen Stoneburn continues as Chairman of the OTP and the new company Frontline Medical Communications. The New Jersey-based staff of QHI and IMNG will combine in one location as soon as possible. IMNG’s content and operations group will remain where it has long been located, in Rockville, Maryland. QHI is wholly owned by M.E. Zukerman & Co, a New York-based investment firm.